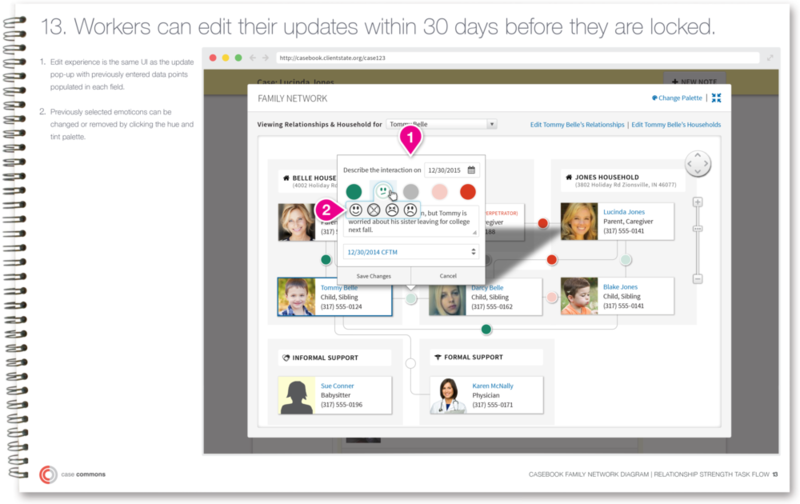 How might we help social workers capture qualitative data about the relationships of the kids in their care? 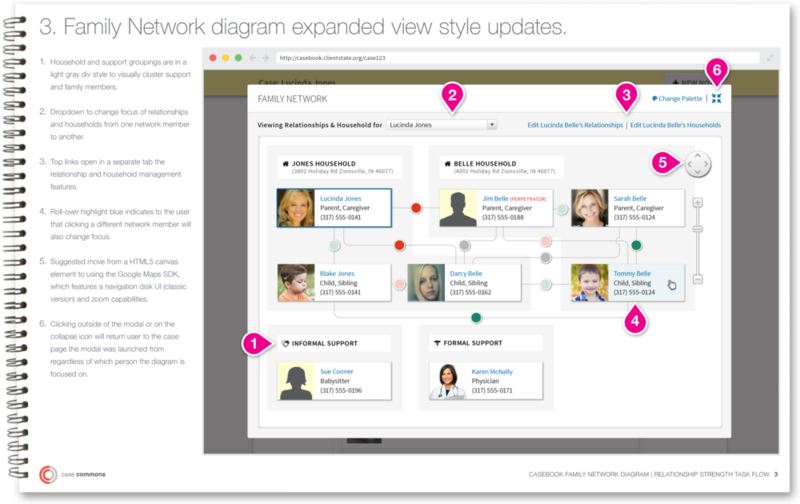 Inspired by the genogram, a common tool used by social workers to visualize family dynamics, the Network Diagram appears throughout Casebook and helps caseworkers easily and quickly record a rich network of relationships for a child in care, as well as discover new sources of support for that child. A difficult metric to quantify is the strength and quality of the relationships between the children on a case and their support system. 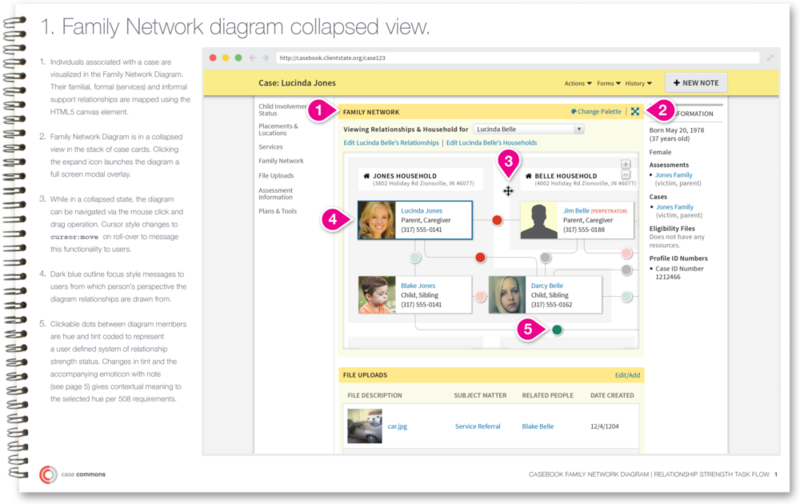 The above designs articulate a workflow that would allow social workers to develop a system to encode qualitative data about the emotional tenor and strength of the relationships between children and the adults in their lives, while seamlessly connecting this data to supporting case notes. 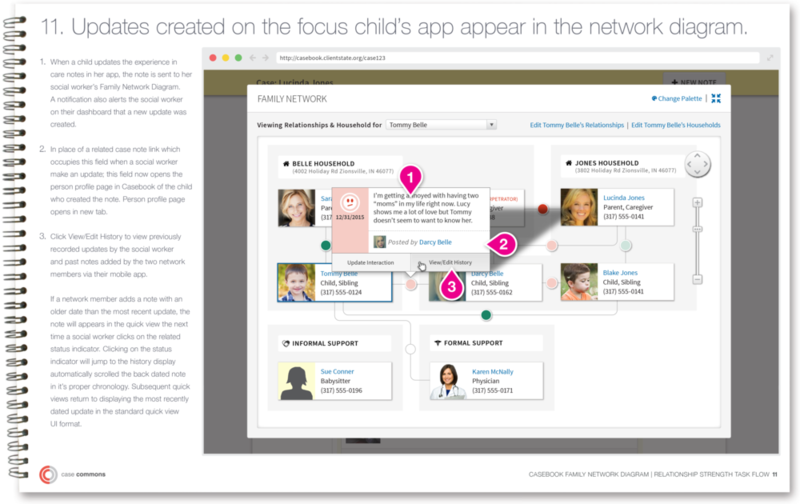 A companion phone app would allow children to self report on their relationships. UX Design Lead on agile product development team. Collaborated with Product Management on product definition and business goals. Established and led research best practices for team. Collaborated closely with lead technologists and art director to give shape to product look, feel, and functionality. Created wireframes, paper prototypes, and strategy deliverables.